Know Before You Go! 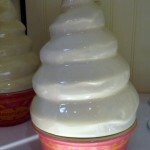 Sign Up for the Disney Food Blog Newsletter! There is so much to keep on top of when it comes to planning your next Disney vacation. Stay up to date with ever-changing Disney Food Happenings by subscribing to the Disney Food Blog Newsletter! We know that you work hard and save hard for your Disney visits! With that in mind, we fill each issue of our newsletter with invaluable resources. Whether you’re spending the day or the next two weeks at Disney, we pack in all latest news and exclusive articles to make planning a breeze. 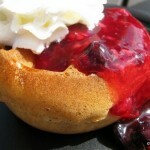 And even if your trip isn’t around the corner, there are lots of extras, like Disney Recipes to bring the magic home. Why a newsletter, you ask? Because there’s SO much to tell you about, we can’t fit it all on the blog. That means you’ll get newsletter-exclusive content in our full-color newsletter delivered conveniently straight to your inbox! We’ll also keep you update with important breaking news, like free dining or big event announcements, in special mailings! There’s no better time than today — sign up now and you’ll receive an email from me welcoming you. Your regular subscription will begin mid-Month. Thanks for your support of DFB! Don’t Miss Out! 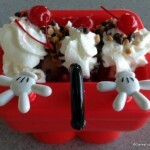 Subscribe to the Disney Food Blog Newsletter! 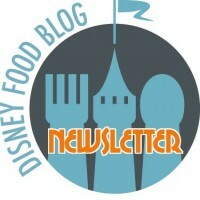 Subscribe to the Disney Food Blog Newsletter for the Latest News, Exclusive Deals, and More! 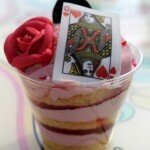 Get Even More Disney Food in Your Life: Subscribe to the Disney Food Blog Newsletter! Keep Up to Date — Subscribe to the Disney Food Blog Newsletter Today! It seems a little quiet over here lately. When is the next podcast expected? I would also love a Not So Scary and/or Very Merry Christmas Party food review. Thanks for keeping us hungry!